“La La Land,” the winner of six Academy Awards (including Best Picture for about two minutes), highlights a fresh slate of films coming to TDS TV on Demand. 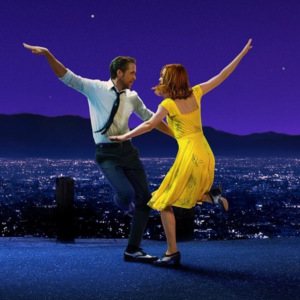 The award-winning “La La Land” offers one of the most innovative and fresh musicals to hit the big screen in years. On the opposite end of the spectrum is the pulse-pounding horror/thriller “Split,” a remarkable return to form for director M. Night Shyamalan. Also, horror aficionados will enjoy a return to the “Underworld” franchise, and Michael Keaton fans should delight in his meaty portrayal of McDonald’s founder Ray Kroc. Available April 25. Rated PG-13. Emma Stone (who won an Oscar for her performance) and Ryan Gosling shine as an actress and musician chasing their dreams in the City of Angels. Director Damien Chazelle (also an Oscar-winner) weaves a charming and enchanting tapestry of music, laughs and romance in this heartfelt love letter to Hollywood. “La La Land” is a quirky, beautiful film that should prove to be irresistible to anyone who loves movies. Available April 18. Rated PG-13. Intense film about a young man with 23 personalities who kidnaps three young girls in an attempt to awaken a 24th personality that he believes exists. James McCovoy is fantastic in the lead role, and Anya Taylor-Joy matches him as the protagonist. “Split” is a unique, edge-of-your-seat thriller—and a welcome return to form for writer-director M. Night Shyamalan. Available April 4. Rated R.
Kate Beckinsale returns for the fifth “Underworld” film, but this time, both the Lycan clan and the Vampires are after her. There’s nothing very original here, but Beckinsale jumps into her role full force, and the action and effects are quite good. Fans of the “Underworld” series should enjoy a return to the franchise, and newcomers can watch “Blood Wars” without having seen the other entries in the series. Be forewarned—not a lot happens in “Blue Jay.” And that’s okay. The film, about former high school sweethearts who reconnect after 20 years, is a charming and sweet little gem. Mark Duplass and Sarah Paulson are outstanding as two people who find themselves looking back at their past and doing the whole ‘how did we get here’ discussion. “Blue Jay” is a subtle, poignant and heartbreaking film – recommended for anyone who enjoys a simple, human drama.